The U.S. Department of Transportation (DOT) has approved a decision to continue the inland component of the Nationwide Differential GPS (NDGPS), based on the results of a user assessment conducted by the Research and Innovative Technology Administration (RITA). 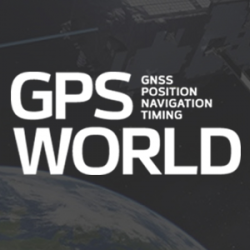 The possibility, currently under consideration, of actually dropping an important accuracy augmentation element of GPS – the Nationwide Differential GPS (NDGPS) – before alternatives are available would certainly undermine worldwide confidence in the U.S. commitment to continuing to provide service equal to or better than what is already there. RITA and the Coast Guard have a tough job ahead. Between them, the Department of Transportation´s (DOT´s) Research and Innovative Technology Administration and the multi-mission maritime service are trying to save a national differential GPS (NDGPS) program that faces termination next year. The Federal Railroad Administration has relinquished responsibility for national differential GPS (NDGPS), saying that it no longer supports NDGPS for positive train control.